The history of LAMB Knitting Machine Corporation is rich in American craftsmanship. Our story begins in the 1860’s, when Pastor Isaac W. Lamb developed the first V-Bed flat knitting machine. 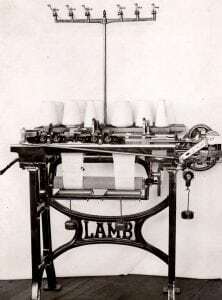 The LAMB Knitting Machine Manufacturing Company was formed and started production of these machines under a U.S. Patent in year 1867. 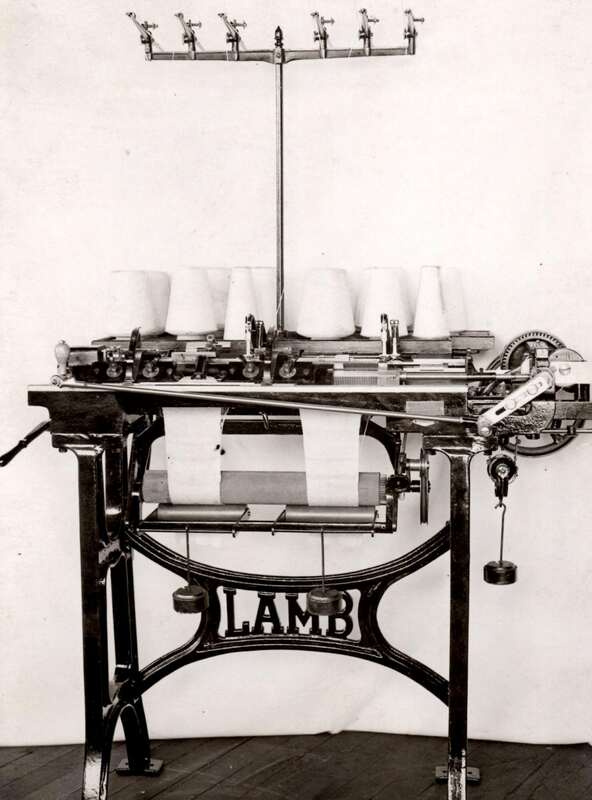 By year 1890, LAMB machines were exported for use in textile mills and for home knitters throughout the world. In 1893, the company merged with A.G. Spaulding and changed its name to LAMB Manufacturing Company. In addition to knitting machines, the company also manufactured bicycle frames, rifles and shotguns. The company ceased operations briefly during the great depression. Shortly thereafter, in 1931, the company was reorganized as LAMB Knitting Machine Corporation by four employees of the original company. LAMB Knitting Machine Corporation re-branded itself by focusing exclusively on designing and manufacturing narrow fabric knitting machines and equipment associated with the textile industry. In year 1956 John W. Giokas, a life-long employee of LAMB, acquired LAMB Knitting Machine Corporation. Under his stewardship, LAMB expanded its line of knitting machines to circular weft and warp knitting machines. His sons William J. Giokas and Andrew J. Giokas joined the business in the 1970’s bringing their education in engineering to enhance the design and manufacturing processes of LAMB’s machines. LAMB has been a family owned and operated business ever since. Up to the late 1980’s, most LAMB machines were used to produce trimmings, drawstring cords and shoelaces. As the global economy and textile industry has evolved, so have we. Today, products knit on LAMB machines can be found in automobiles, microwave ovens and in medical devices. We are the only company in the world that focuses solely on knitting machines to produce materials ranging in size from .050” diameter to 4-inches wide. The experience gained through its long history is what sets LAMB apart from other knitting machine manufacturing companies. In addition to this expertise, our focus on providing timely and effective service, staying in tune with the needs of the customer, and having a reputation for manufacturing dependable machines have been the keys to LAMB’s success for over 150 years.